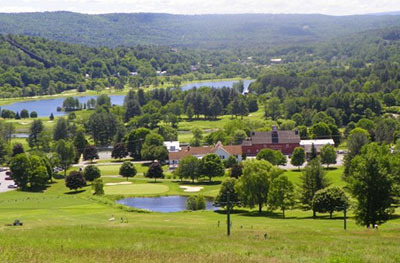 Come and explore Quechee VT, a village close to the heart of the Upper Valley that also affords residents premier amenities such as two golf courses, tennis courts, a ski hill, and a town lake with beach, all managed through The Quechee Club, and available to all Quechee residents. 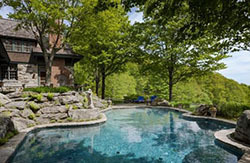 Near the crossroads of Interstates 89 and 91, Quechee offers a wide variety of real estate options, from starter homes to Quechee Lakes Landowners Association (QLLA) properties comprised of homes and condominiums whose residents have automatic membership to The Quechee Club. Larger estates and historic homes enjoy privacy and panoramic views around town. As one of five unincorporated villages in the town of Hartford VT, Quechee is part of the Hartford VT school district and has its own village K5 school in a quiet wooded setting (Ottauquechee School). Children love to visit the Vermont Institute of Natural Science (VINS) to learn about raptors in the avian rehabilitation program and encounter a variety of wildlife. The Quechee Gorge, “Vermont’s Little Grand Canyon,” on the Ottauquechee River is a popular tourist stop near to a variety of dining options and the Quechee Gorge Village, home to several antique shops (The Vermont Antique Mall and Marketplace), boutiques, and country stores (The Vermont Spot Country Store), as well as a weekend Flea Market in the spring, summer and fall. After a day of outdoor adventure in Quechee VT, cross the covered bridge into the center of Quechee Village and take your family to five-star dining at The Simon Pearce Restaurant, home to the Simon Pearce flagship store and glassblowing operation. Let us introduce you to some beautiful homes in Quechee VT, where resort style living meets close proximity to the employment center of the Upper Valley.